Florence, Italy, the cradle of the Renaissance, gave rise to some of the world’s most celebrated artists, architects, and scientists, including Michelangelo, Brunelleschi, and Galileo. Yet, little is known of the city’s trailblazing female artists. 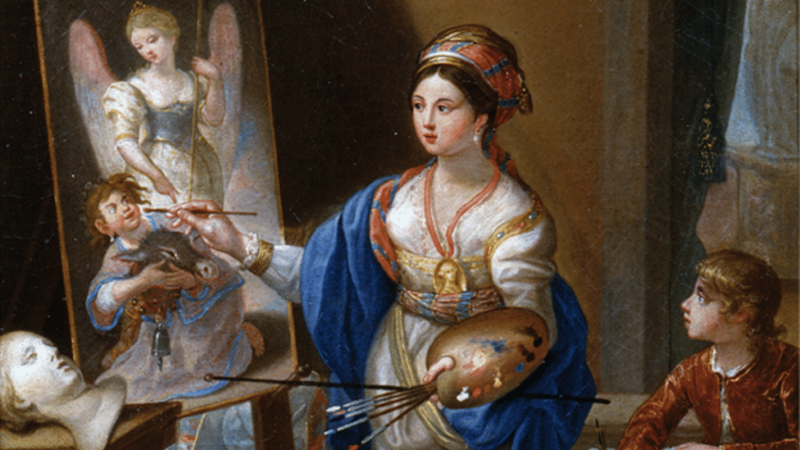 The Emmy®-winning Invisible Women sheds light on the lives and works of these largely forgotten Renaissance-era painters, revealing the “hidden half” of one of the world’s most beloved art cities. Infrared reflectography and other high-tech equipment assists a dedicated group of artists, historians, restorers, and museum executives as they remove centuries of decay and bring precious pieces of art history — salvaged from storage facilities throughout Italy — back to life. Cameras chart this painstaking process of reconstruction, restoration, preservation, and conservation of two works, “Lamentation With Saints” by Plautilla Nelli (1524-1588), a cloistered nun and the first known female painter of Florence, and “David and Bathsheba,” by Artemisia Gentileschi (1593-1653). On CPTV: Thursday, March 21, 2019 at 8:30 p.m.